Don't find yourself picking up a box of chocolates at the drug store last minute on your way home from work this Valentine's Day. JUST DON'T DO IT! Sure, the ladies (and the guys too!) love their chocolate, but if you are going to give chocolates as a Valentine's Day Gift, it just better be the darn best chocolate in the whole wide United States of America! This year plan ahead and treat your Valentine to some really exquisite artisanal chocolate handmade in the USA …of course USA Love List has found the source for the good stuff. The Chocolate Nation is the online marketplace to rely on for premier handcrafted, made in the USA chocolate goodness. The Chocolate Nation chocolates are made in small batches, with only the best, natural ingredients by award winning chocolatiers. This is the source for an exquisite gift of chocolate for your Valentine. 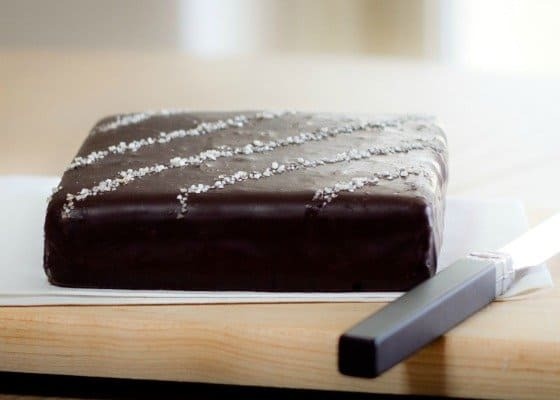 The Chocolate Nation will send one of our readers the 1.5 pound Chocolate and Caramel Truffle Fudge Slab, valued at $50. That's right, one and a half pounds of small batch, handmade, dreamy chocolate created with only the finest ingredients. 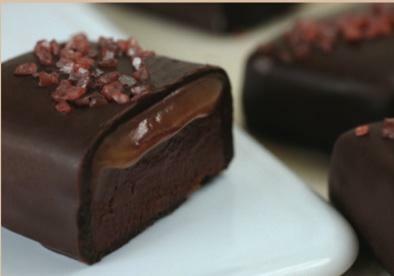 ….MMMMM…..
…beyond amazing chocolate truffle fudge….with a gooey layer of natural caramel sauce…topped with Red Hawaiian Sea Salt. The question is, if you win, will you give it to your Valentine….or keep it for yourself?! Click the +1 button for further instructions on each entry. This giveaway will close at midnight on Thursday, February 12th. The winner will be randomly selected, verified for correct entry participation, and notified by email. I’d love to win this for my husband who recently finished cancer treatments and is remission. He was so courageous to fight two separate cancers at once and maintain employment keeping our household afloat during a crippling financial loss. He is my hero. Wow, Carolee, what a story! My fingers are crossed for you. I’d like to win because I’d like to try this chocolate. It looks awesome. If I win, I will share it with my husband. Are you kidding?! CHOCOLATE!! I love that you can find chocolatiers in your own state, too, although I couldn’t get that feature to work…maybe because I’m on a mobile device? Still…cool! I’d love to win because I’d like to try it. I should say that I would share it with my boyfriend, but I would probably just share it with my daughter. I want to win because this thing look incredible! (I would probably gift it to my daughter.) Love USA MADE! I love Made in USA. I now love dark chocolate. Before I only ate milk chocolate. I love caramel and nuts, so anything with this and/or in dark chocolate would be my selection. I would share it with my husband if he likes it. If not, then with my daughter. Thank you for the giveaway. This looks amazingly delicious; I’d love to win something so wonderful for Valentine’s Day! 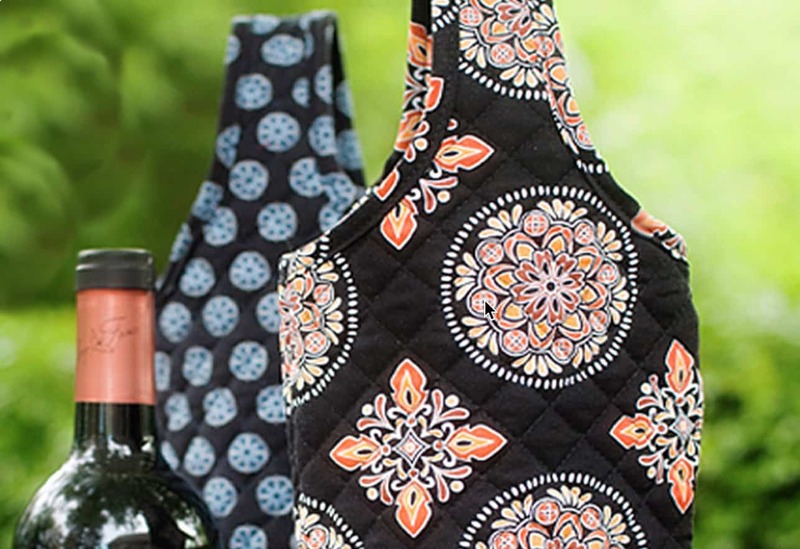 If I won this I would share it with my potluck group – I know everyone would love it! I would love to win because you can never have too much chocolate, especially good chocolate! Mmm yummmmy. I would like to win this and give it as a gift to my Mother. They have so many delicious looking varieties. I would like to try anything from their catalogue. Goodness… I would have to share it! That’s a lot of chocolate! I want to win cause I am addicted to dark chocolate…yum! I would share it with my wonderful Hubby but he prefers milk chocolate and Snickers bars. I would like to win this because our family loves chocolate! I would share this prize with my family. Chocolate and caramel? Who would NOT want to win?!? I would share with my hubby & kids. Yes, I would totally share with my husband. I might use it as a bribe too 🙂 tee hee. This slab looks so yummy. I’d love to win because who doesn’t LOVE chocolate or fudge and THIS particular fudge looks exceptionally special and extra indulgently delicious. I haven’t decided yet, (I will when and if I am lucky enough to win) but I’ll either enjoy it myself as well as share with my soulmate/bff love of my life husband Todd OR have it sent to our youngest adult son Elijah and I know he’d share it with all his roommates at his house. Great valentine’s Day gift for the family, especially since the Christmas candy is now gone! I think we would all share it as a family! I love chocolate and knowing this chocolate came from US would make it so much better! I would share it with my fellow chocolate lover best friend! I want to win because it looks delicious! If I win I’ll take this to a friend as a hostess gift so I’ll be sure to get a taste! I’ll definitely give it as a gift. I would share with my family! I am crazy for anything with caramel… but I would let the kids have a little too! Arm bent, I might try to save it for a road trip to visit my folks. I can’t promise it would last that long. I would definite share this with the family — swimsuit season is just around the corner, after all! That seems like a trick question? haha. I want to win because I love chocolate, and something about a chocolate slab really makes me want it- sounds so decadent! I would share this with my lover man- we are definitely fond of edible gifts! I would share with my husband, and family. I have friends that come over unexpectedly, and if they come on the “right” day I might even share with them! because I am seriously addicted to chocolate! I would share with my girls! Chocolate is life. I would love to win this to share with my husband and kids. I’d like to win because any fudge is wonderful, but THIS fudge looks extra special and indulgently delicious! The only thing better than winning this to try for myself, is to be able to share it with some of my loved ones! YUM! My family would absolutely love this! I would share with my coworkers and family. I want to win because we love quality food made in the USA. If I win, I will enjoy it immediately. I am about 75% sure I would share it with my love. I visit their site and I would want to win because everything looks fresh and delicious and drool worthy. I would pretty much start enjoying this the moment it would arrive 🙂 I would then have little bits each night after dinner. That is when I like having a little chocolate yummy. I would love to win because this is American made! Would I share? Hmmmm maybe. If my husband was really really good he might get a bite, but otherwise I would call it ‘my precious’ and hide it. Only 7 days left on this one and I have my fingers crossed! My family would LOVE this! I’d love to win this so I could share it with my wonderful husband! I would love to win this because it looks delicious and would be a special treat for my family. If I win, I’d share it with my family. If I won this incredibly great looking slab of chocolate caramel goodness, I would freeze 1/2 of it to share with my family when they came to visit in the summer. Well, maybe 1/4 of it. I would definitely share… that’s a LOT of calories! I’d like to win because it would be a sweet treat to serve as a dessert. I’d share it with my husband and daughters. Made in USA is lovely. I love dark chocolate now, but before I only ate milk chocolate. I love caramel and nuts, so anything with this and/or in dark chocolate would be my selection. I would share it with my husband, then with my daughter. Thank you for the giveaway. I would love to win because I LOVE FUDGE! This looks amazing! Would love to win! I want to win because time is ticking & my sweetheart still hasn’t told me what he wants- quite sure he’d be pleased with this. I would like to win, because I LOVE chocolate. It is really the only sweet that I like. I love chocolate, eat it every day. That’s why I need to win. Would share with with my family! I’d like to share with my soulmate/bff, love of my life, husband Todd. I want to win because the review and pictures and description are over the top mouth watering! I would share it with my wonderful boyfriend, he shares all the good stuff with me. I would love to win because it looks delicious and I know it was made with pride. I love my family but I’m not sharing. They wouldn’t appreciate such decadence! I want to win as a special treat for my sweetie pie husband and I to share. If I am lucky enough to win I will share with my sweetie pie pie husband. He’s ALWAYS doing sweet things for me and I love to do sweet things for him that I can too! I would share it with my family, although I might be tempted to hoard… a little! I’d like to win because the chocolate looks delicious! I would love to win because it is American made and good quality and looks delicious. I don’t think I’ll be able to resist my boyfriend’s sad puppy dog eyes if I don’t- I’ll share. I want to win because we have both been on a diet for the last three months with no slip ups and I think we are ready for a chocolate reward. If I win, I would share it with my hubby & kids as soon as it arrives! Yummy! I would love to win this because we love fudge & I would like to try this company out! I would share this with my family. After all… it’s gigantic! The caramel is my favorite part! I want to win because .. Chocolate YUM! Fudge YUM! Gooey Caramel YUM! All together YUMMY YUM YUM! If I’m lucky enough to win, I want to share this yummyness with my sweetie pie pie husband Todd. I would want to win because…it is chocolate. That should be enough of an answer, but not only is this chocolate but looks like it is quite a divine chocolate. I want to win because I’d rather get chocolate as a gift than a diamond. I’m a cheap date. ha! My boyfriend is totally romantic & thoughtful- I’ll share. Today I would share some with hubby he has been pretty nice. I’d like to win because this would be a nice treat for my family. Id share it with my family. It would be a fun dessert after dinner one night. I want to win because Chocolate & Caramel Truffle Fudge sounds delicious! This would make such a lovely treat — caramel — heaven! I would share (some!) with my family! I’d like to win because I read that The Chocolate Nation created a shop with the best chocolates made in the United States . I would share this with my family…my husband and daughters. I would love to win this because Chocolate & Caramel are two of my LOVES! I want to win because (quoting 80s one hit wonder Bow Wow Wow- ) I want candy! I will most definitely share this wonderful prize – thanks. I would love to win because it is sweet and this would be a nice thing to have. I would share with my husband he has been nice to be around today. I would love to win this! I am having my children and grandchildren over for a Valentine meal, and this would be a great way to end! I’m sure it would bring lots of smiles to those faces! Sounds so yummy. I love caramel! I’d love to win because it sounds (and looks) delicious! I would love to share this with my family. I want to win this to try, because as yummy as regular other fudges look, THIS kind looks so much more, extraordinarily indulgent, decadent, delicious! SPECIAL! I’d love to win to share with my husband Todd who is my soulmate/bff love of my life and does sweet things for me every single day and I would love to be able to share something sweet with him..
I’d love to win to share with my husband Todd who is my soulmate/bff love of my life and does sweet things for me every single day and I would love to be able to share something sweet with him that I had not had a chance to in past. I’m always looking for new ways to spoil him because he deserves it! I want to win because their chocolate looks heavenly. Honestly, I would probably hide it and not share at all. I have decided I would share with my husband he has been pretty nice lately.